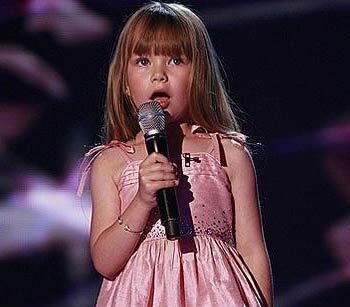 Connie Talbot, who as a six-year-old who landed the runner-up slot (losing to victor Paul Potts) on the 2007 series of Britain's Got Talent, was born in Walsall in the Midlands of Britain on November 20, 2000. She entered the Britain's Got Talent competition just for a family day out, but melted the hearts of the judges and the voting public with her pure, sweet renditions of "Over the Rainbow" and "Ben." She’s best known for being the six-year-old gap-toothed singing sensation on Britain’s Got Talent .